(Toronto, Ont.) Excitement and optimism were in the air this afternoon as the Canadian Paralympic Committee earlier elected a new Board of Directors including a President, a Vice President and seven Directors at the 2013 CPC Annual General Meeting in Toronto. All will serve four-year terms, from 2013 to 2017. Dr. Gaétan Tardif (Toronto, Ont.) is the new President of the Canadian Paralympic Committee. He takes over from David Legg, who held the President position for three years. Fluently bilingual, Tardif has participated in seven consecutive Paralympic Games, most recently as Team Canada’s Chef de Mission at the London 2012 Paralympic Games. 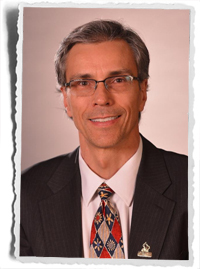 Tardif is an academic physician and health care executive with leadership experience in several professional and not-for-profit organizations. He is Medical Program Director – Rehabilitation and Post-Acute Care at the University Health Network and a Professor in the Department of Medicine and director, Division of Physiatry (PM&R) at the University of Toronto. Tardif also served as Director of Administration and Chair of the HR Committee on the Canadian Paralympic Committee Board of Directors from 2008 to 2013 and was a member of the Games Committee from 2006 to 2013. CPC’s new Vice-President is Debbie Low (Richmond Hill, Ont.). Low is President and Chief Executive Officer of the Canadian Sport Institute Ontario. She was the Executive Director of ParaSport Ontario from 2002 to 2005, Assistant Chef de Mission for the 2004 Athens Paralympic Games, Chef de Mission for the 2008 Beijing Paralympic Games and a member of the International Paralympic Committee’s Games Committee. She has also been involved in nine sets of Canada Games, including Chef de Mission in 1999 and 1997. Low was a Canadian Paralympic Committee Board member and served on the Games and High Performance Committee from 2007 to 2011, including serving as CPC’s Board representative on the Toronto 2015 Pan/Parapan American Games Bid Committee. Also elected today were seven Directors of the Board. They are: Ellen Waxman (Toronto, Ont. ), Rick Baker (Ottawa, Ont. ), Gail Hamamoto (Vancouver, B.C. ), Andrea Carey (Victoria, B.C. ), Blair McIntosh (Toronto, Ont.) and Rem Langan (Toronto, Ont.) and Jim Westlake (Oakville, Ont.). Waxman and Baker are new members of the Board, while Hamamoto, Carey, McIntosh, Westlake and Langan are returning to the Board.